which held Gaul until 486, when the Germanic Franks conquered the region and formed the Kingdom of France. France emerged as a major European power in the Late Middle Ages, with its victory in the Hundred Years' War (1337 to 1453) strengthening state-building and political centralisation. During the Renaissance, French culture flourished and a global colonial empire was established, which by the 20th century would be the second largest in the world. The 16th century was dominated by religious civil wars between Catholics and Protestants (Huguenots). France became Europe's dominant cultural, political, and military power under Louis XIV. 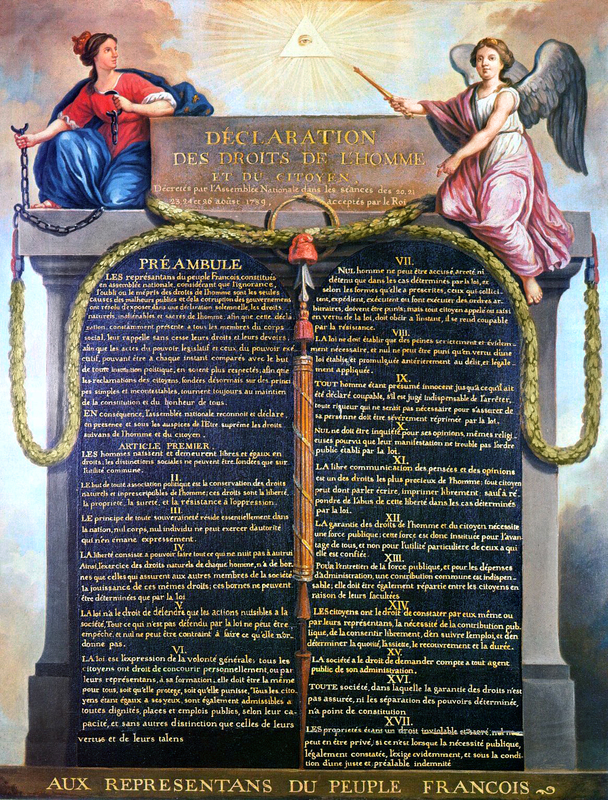 In the late 18th century, the French Revolution overthrew the absolute monarchy, established one of modern history's earliest republics, and saw the drafting of the Declaration of the Rights of Man and of the Citizen, which expresses the nation's ideals to this day. France has long been a global centre of art, science, and philosophy. It hosts Europe's fourth-largest number of cultural UNESCO World Heritage Sites and receives around 83 million foreign tourists annually, the most of any country in the world. France is a developed country with the world's sixth-largest economy by nominal GDP and ninth-largest by purchasing power parity. In terms of aggregate household wealth, it ranks fourth in the world. France performs well in international rankings of education, health care, life expectancy, and human development. France remains a great power in the world, being one of the five permanent members of the United Nations Security Council with the power to veto and an official nuclear-weapon state. Economic Co-operation and Development (OECD), the World Trade Organization (WTO), and La Francophonie..
As early as 1946, when Germany was shunned by other nations, Frank Buchman, Moral Re-Armament (MRA, later Initiative of Change - IoC) founder, invited Germans to attend the first conferences in Caux. He believed that it was not possible to rebuild Europe without Germany. The Germans who came to Caux were the first to be authorised by the Allied Occupation to leave their country. 3,000 Germans and 2,000 French visited Caux between 1946 and 1950, among them parliamentarians, industrialists, trade unionists and journalists. The future German chancellor, Konrad Adenauer, who came to Caux in 1948, was later to express his gratitude to MRA for extending a hand of friendship to the German people. MRA’s part in the reconciliation between France and Germany was the subject of an American research project by the Center for Strategic and International Studies, Washington DC, published in the book Religion, the Missing Dimension of Statecraft, Oxford University Press, 1994. That President Hollande or his Finance Minister should welcome the two years grace concede by (Brussels? Europe?) the European Commission to reduce France’s budget deficit to 3% of GNP is perfectly understandable. That they attribute to their skills the merit of changing the orientation of European policy, avoiding foisting austerity on the French, is an unabashed example of arrogance and disinformation. y allowing France – as well as a number of other Member States – to spread their budgetary efforts over time, the Commission has done nothing more than interpret, with the appropriate flexibility, the rules of the Treaties and Directives that it is charged with enforcing. In so doing, it recognises that the continuing crisis renders the blind pursuit of austerity counterproductive, as long as there are no signs of an economic recovery. That being said, the Commission – which has neither the means nor the competence – has in no way changed the rules of the game. Thus, the flexibility is conditioned on the pursuit of structural reforms which hardly increase the room for manoeuvring of the governments concerned. 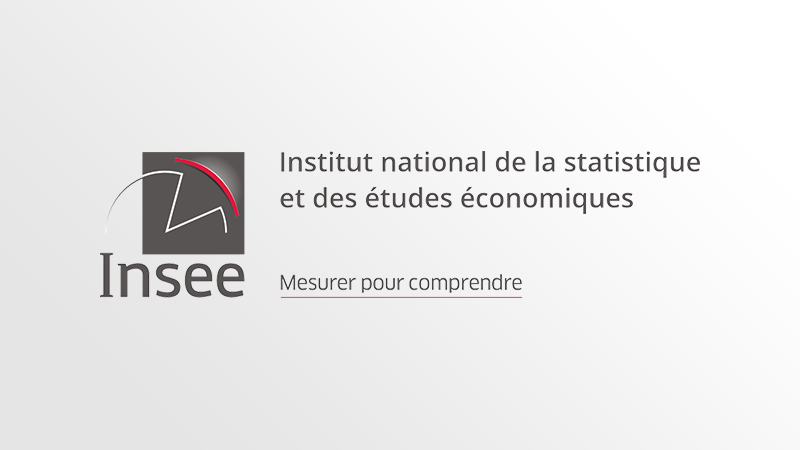 The situation of France appears particularly difficult insofar as it is the only country that has not even started to implement significantly the required measures, while continuing to boast record public expenditures, one of the highest tax regimes and an increasing public indebtedness. Thus, while the heavy sacrifices imposed on Greeks, Portuguese, Irish, Spaniards, Italians and Cypriots, (or adopted unilaterally by the British and earlier by the Germans), are likely to bear fruit rapidly if and when the economy improves, France will find itself forced to maintain austerity because, even if the problematic 3% threshold is achieved by 2015, deficits should continue to be reduced further, all the more that an economic upturn will impose counter cyclical measures and constraining debt reduction objectives in line with the country’s European obligations. It is totally illusory to believe that France will be able to impose a coordinated European stimulus package without significant further transfers of sovereignty to “Europe”. Indeed, its avowed objectives aiming at more solidarity (debt mutualisation, joint deposit guarantees, greater ECB interventionism, etc.) will remain unfulfilled if they are not accompanied by a robust institutional framework capable of ensuring collective discipline and enforcing sanctions on any attempt at free riding on the efforts requested from the partners. This implies a credible enforceable roadmap leading to a form of European Federation, armed with an autonomous budget financed by significant “own resources” (European taxes). As long as the mandate of the Commission is restricted to monitor the compliance of each individual Member State with its Treaty commitments, it will not be in a position to impose a coordinated “European economic policy” which could, for example, weigh on the exchange rate of the Euro; its relevance would, in any case, be at best marginal in light of the weight of intra Eurozone commerce. From an internal French political perspective, the consequences of the above mentioned considerations are serious. The prospect of the continuation and aggravation of the austerity voiced by Marine Le Pen are increasingly likely to pass even if, at the same time, the solutions she offers, including exiting the Euro and repatriating French national sovereignty, ignore the massive readjustment (impoverishment) to which the French population would be submitted. The current developments in Cyprus, where the ability to restore the free movement of capital remains highly problematical, should ring alarm bells before committing a country such as France, which is so highly dependent on access to international markets for goods, services and debt financing, to following a similar course. However, receiving support on her diagnosis and remedies (but not on her ideology) from Mélenchon and his “left of the left” supporters, an anti-European consensus could easily paralyse any French governmental initiative leading the “unthinkable” to become “inevitable”. This potential paralysis could extend to the European institutions. A protest vote, sanctioning governments in place at the time of the forthcoming European elections (considered – wrongly – as the ideal venue to express frustrations with unemployment, austerity, poverty, corruption etc.) could easily jeopardise the Parliament’s capacity to fulfil its role and continue to be the arena in which the democratic legitimacy of the EU expresses itself. The insolent behaviour of financial markets, where stock markets establish daily new records, far from announcing better times ahead, is rather a further demonstration of the deep changes in the balance of powers that control world events. It is totally illusory to aim at restoring effective sovereign powers in policy making or control at the level of any one of the EU Members States. Only an European-wide entity, comparable to the United States, China, India, Russia or Brazil, can aspire to manage its own destiny. Condemned by national egoisms to virtual paralysis, it is difficult to predict the spark that will trigger the demise of the uncompleted European construction. It could happen suddenly, caused from outside such as a widening of the Middle East conflict or a brutal shock to financial or commodity markets or, internally by social unrest or the growing influence of populist and nationalist movements. In conclusion, the chances of reversing the trend diminish with every passing day. The weakening of France, driven to seeking suitable foreign scapegoats and putting in jeopardy the indispensable Franco-German leadership, constitutes the biggest danger confronting the Union. Correcting this state of affairs starts with the realisation that the future of France is not dissociable from the future of Europe. Director, European Commission (ret. ); former Member of the Advisory Board of the Thomas More Institute. The Basilica is a Roman Catholic church and minor basilica dedicated to Saint Thérèse of Lisieux. Located in Lisieux, France, the large basilica can accommodate 4,000 people, and, with more than two million visitors a year, is the second largest pilgrimage site in France, after Lourdes. Pope John Paul II visited the Basilica on 2 June 1980. Saint Therese of Lisieux was beatified in 1923 and canonised in 1925. 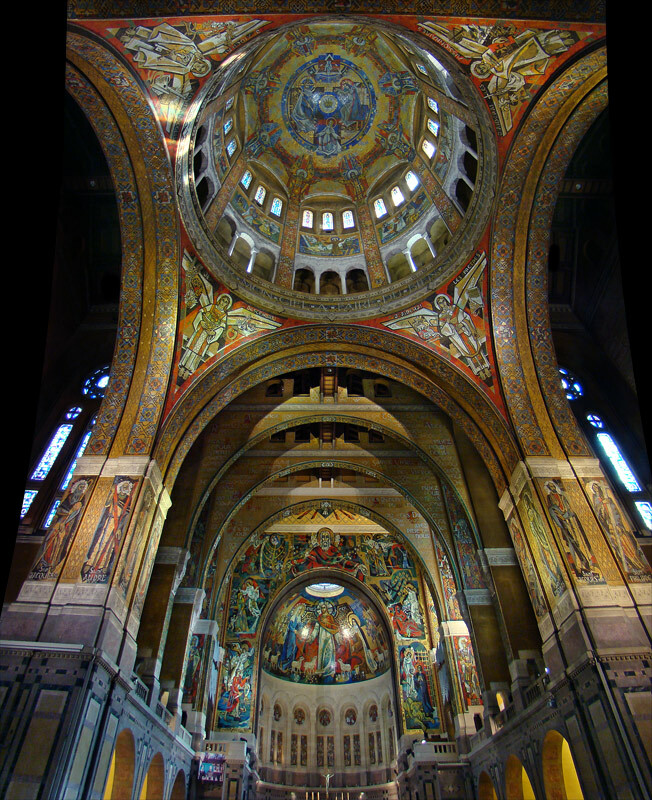 It was decided to build a large basilica dedicated to her in the city where she lived and died. The project was launched by the Bishop of Bayeux and Lisieux, Bishop Thomas-Paul-Henri Lemonnier, and received the full support of Pope Pius XI who had placed his pontificate under the sign of Saint Therese. Construction started in 1929 and finished in 1954. The basilica is located on a hill at the edge of the city. It was funded entirely by donations and special contributions from several countries from around the world, based on strong devotions to Saint Therese. The basilica thus contains 18 minor altars offered by different nations to Saint Therese.